Is eLearning just a cut price way of delivering training, or a means of facilitating new types of organizational learning? So many researchers have clearly proven that eLearning can make significant improvements on the traditional methods of classroom, workbook and other teaching strategies. eLearning plays a critical and unique role in transforming an organisation to meet the challenges of the twenty-first century. Through the interactivity of well designed e-learning programmes, participation is fostered and learners can be actively engaged. This in return leads to more value being derived from the course, and consequently improved effectiveness. With eLearning, there are higher levels of cognitive engagement and therefore higher levels of retention for Learners. The self-paced nature of the learning experience also leads to higher retention as the learning content is digested at the pace which suits the learner, and not the pace at which it happens to be delivered by the trainer. The learner can stop, reflect, repeat and integrate the learning into existing structures in a way that is difficult in the classroom. 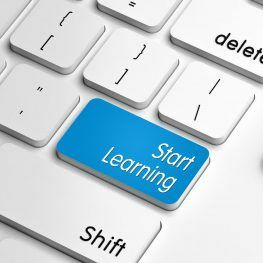 One of the major benefits Elearning can offer large and dispersed organizations like ours is consistency of learning. With e-learning everyone gets the same content, presented in the same way. Adams (1992) reviewed six studies that carefully compared e-learning with classroom instruction and found that â€˜consistency of learningâ€™ (variance in learning across students) was 50-60% better, and â€˜content retentionâ€™ was 25-50% higher. E-learning has faster delivery cycle times than traditional classroom based instruction. In essence, there is a physical restriction upon how fast learning can be rolled out with classroom based instruction, as the capacity to deliver learning is limited by the number of classrooms and trainers. E-learning is very scalable and can be undertaken when Staff are available, rather than having to make sure staff are available when the training is planned. E-learning content can be updated rapidly. For example, a change in a policy or service charge can be reflected in a course module and, once updated on a central server/location, it is instantly available to staff. The material for a classroom based course can be updated relatively quickly, but it is not available to staff quickly and requires the course to be rolled out across all staff. E-learning provides organisations with a greater ability and capacity to manage major changes more quickly. Delivery of learning to the desktop or mobile devices means there will be less disruption in the workplace and a substantial reduction in costs. Less time spent traveling and attending face to face courses will mean work activities are not interrupted and delayed through absence from the workplace. Delivery of â€˜Eâ€™ and â€˜Mâ€™ learning provides the ability to improve staff access to learning.